The collapse of Jet Airways raises questions about thousands of employees who were not paid for months. Some 20,000 employees had reached out to the Prime Minister yesterday appealing to save their jobs. Just hours after Jet Airways announced that it will temporarily halt all operations, the company wrote to its employees on their "realistic and painstaking" decision claiming that they don't have an answer today to the very important question of "what happens to us employees during the sale process". 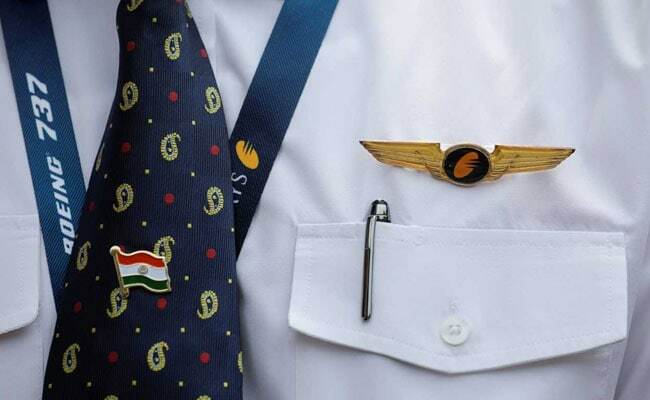 The letter by Jet CEO Vinay Dube paid tribute to the staff and said the airline is unique because of its employees and that they "must be given another chance" to fly. Reiterating that the company has tried "every possible means to seek funding" over the last few months, the company in its letter said, "We are worth investing in, you are worth investing in and we confident that we will be back to share the joy of flying with our fellow-guests once again." The cash-strapped airline, once ranked the biggest in the market, will be flying its last flight on Wednesday night after it failed to secure a bailout. Jet Airways, in its letter said SBI had earlier in the day rejected an offer for interim funding of Rs 983 crores and were compelled to cancel all international and domestic flights. "Your leadership team is working on answering such questions alongside the lenders. In the interim, I must request the many people that continue to provide essential services for our guests, partners and suppliers to keep doing their job as best as possible," the letter read adding that the airline will communicate to them when they have further clarity on the topic. Jet Airways grapples with over Rs 8000 crores in debt and owes lessors, suppliers, pilots and soil companies. Banks had rejected a request for emergency funding made by the company to temporarily keep itself afloat forcing the company to first cut down daily operations and eventually suspending flights. Late last night we were informed by SBI, on behalf of the consortium of Indian lenders, that they are unable to consider our request for interim funding of INR 983 crores. Because no emergency funding from the lenders or any other source of funding is forthcoming, it will not be possible for the Company to pay for fuel or other critical services to keep the operations going. Consequently, with immediate effect we are compelled to cancel all international flights as well as our domestic flights. This decision has been taken after painstaking evaluation of all alternatives and after receiving guidance and advice on the same from the Board of Directors of Jet Airways. We have also informed the DGCA, and the Ministries of Civil Aviation and Finance and other relevant government institutions, of this course of action. Over the last several weeks and months we have tried every means possible to seek funding, both interim funding as well as long term funding, to keep our operations going, but we were not successful. But, tomorrow is another day and tomorrow provides us with new hope, new opportunity and new expectations. In their response to us late last night, the lenders have also said, "The Expressions of Interest (EOI) have been received and bid documents have been issued to the eligible recipients today. The bid documents inter alia has solicited plans for a quick revival of the company. The bid process will conclude on 10th May 2019 ... We are actively working to try and ensure that the bid process leads to a viable solution for the company". On our part, we will keep supporting the bid process initiated by the lenders. We know that India is better off with a flying Jet Airways, and so do our potential investors. With a smile on our face and pride in our hearts, we have become the flag-bearer of warm Indian hospitality the world over. We have fuelled India's economic engine enabling business travellers and tourists alike to traverse the world. Families have grown up with Jet Airways and have come to love our people as much as our brand. Even during the toughest of times every employee has worn a smile on their face and put their duty to our guests and the nation first. We are worth investing in, you are worth investing in and we confident that we will be back to share the joy of flying with our fellow-guests once again. However, we must also be realistic that the sales process will take some time and will throw up several more challenges for us, many of which we don't have the answers to, today. For example, we don't have an answer today to the very important question of "what happens to us employees during the sale process". Your leadership team is working on answering such questions alongside the lenders. In the interim, I must request the many people that continue to provide essential services for our guests, partners and suppliers to keep doing their job as best as possible. Since our guests, partners and suppliers have also stood by us through thick and thin, we must do whatever little wecan, under the circumstances to ease their difficulties. As and when we have further clarity on this topic we will communicate with you. Jet Airways is unique and it is unique because of its employees. We must be given another chance. As before, to you, the most amazing employees of Jet Airways, you have our unequivocal gratitude and respect in equal measure.